Christopher Paolini’s best-selling fantasy series came to a conclusion earlier this month with the release of its fourth and final installment, Inheritance, from Alfred A. Knopf. The series, which has sold more than 25 million copies, began as a self-publishing venture when Paolini was still in his teens. Paolini wrote Eragon at age fifteen and spent the next two years revising and editing it. Paolini’s parents, who ran a small commercial publishing business, decided to throw their entire enterprise behind the book. They printed up several thousand copies and set up a massive book tour during which Paolini gave presentations at schools and bookstores while wearing a medieval storyteller’s costume. 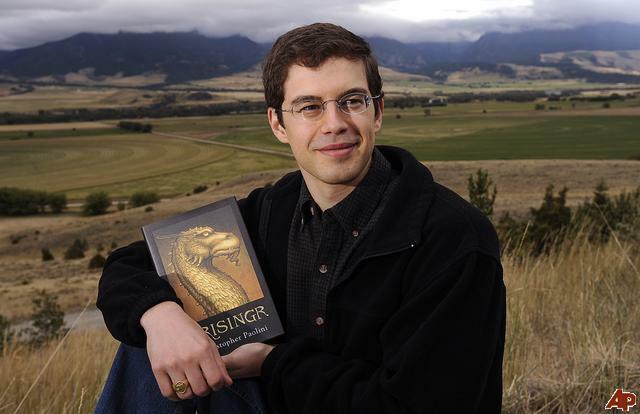 Now, more than a decade after self-publishing the first Eragon book, Christopher Paolini has made what seems to be a very happy transition to traditional publishing. Not bad for a kid who started out with a small run of a self-published novel. Creativity: Paolini dressed up in an attention-grabbing medieval costume when he did appearances and book signings. Nichecraft: In addition to schools and bookstores, Paolini sold his book at Renaissance Faires—a fantasy-lover’s paradise. Luck: Author Carl Hiaasen showed the self-published version of Eragon to his publisher after his stepson found it in a Montana bookstore, read it and loved it. Hard work: Paolini toured the country tirelessly to promote Eragon, learning the ups and downs of book promotion at a young age. Strong networks: Paolini’s family gave him their full support, making Eragon a full-time family business before it ever became popular. A great story: No amount of family support or medieval theatrics could have made Eragon a success if it didn’t resonate with readers. Paolini worked on Eragon for three years before self-publishing, learning the craft of novel writing.